Before I never used to make writing goals, but this past year I realized how crucial it was to make them so I had a clear path on what I want to do with my writing and how I will get there. These goals are listed in potential chronological order, but obviously unexpected things happen so its more in the order I want them to happen. Anyways, hopefully this will inspire you to make some writing goals for yourself because they help so much! I am currently in grade 11, but really wanted to take this class this year because of my school situation for next year (which I will be taking about more in one of my later goals). I also wanted to become better in the craft of writing and have some insight from a creative writing teacher. This is a course I am taking online, but so far I am having a lot of fun with it and know I will be able to easily finish it in the next five months. UStart is this amazing program that most universities/colleges have, or they call it “dual credit” and is a way for students in grade 12 to experience the university life and get a head start. The university I want to go to offers this, and if I get accepted, it will allow me to take my first year of writing! This would be a huge step for me and is a goal I really, really need to accomplish. Regardless of whether or not I get to start my writing degree a year early, the first year of writing focuses on the five main directions of writing. Out of these five, I am only comfortable and familiar with one, and that is obviously fiction. However, I would really to broaden my horizons and learn the basics for these styles so I am not completely lost when it comes to Intro to Writing. It will also just overall, make me a better writer! I love entering writing contests, and have won my fair share. Ever since I was thirteen I have been building up my writing portfolio and the more contests I submit to, the more chances I have at making that portfolio better! Writing contests are also a great way to learn from mistakes and grow as a better writing because of that. Literary magazines are also amazing to submit to, because as I said about writing contests, it builds up your portfolio if your story gets published! Hopefully I will be able to submit to more than one, but I always forget how long it can take to craft a story I am very proud of. This scholarship is a scholarship that allows me to attend my (kind of) local writing conference for free. I submitted to it last year and got accepted and was able to attend, and since I am still young and eligible for it, I want to take advantage of it while I can. Writing conferences are amazing if you can afford it, and I always leave feeling like I learned so many new things. I am a very…prepared person when it comes to my education and because of that, I already have a few writing focused scholarships I want to apply for this year. They include thick portfolios that display my best work, so I need ALL the time I can to prepare for them. As you can probably see from my goals, I am a very ambitious and eager writer which can be good, but also bad at times! 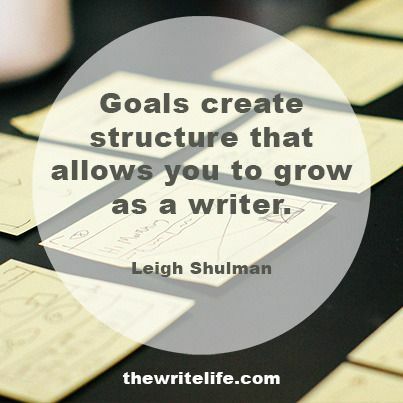 Those are my 7 writing goals and while they are going to take a lot of hard work, I have no doubt I can achieve most of them. Don’t forget to comment below any writing goals you have for yourself for the new year, and also check out my last blog post: NaNoWriMo 2017 Week 3: Tips for Staying On Track! Previous postNaNoWriMo 2017 Week 3: Tips for Staying On Track!